When Steven Jackson was released by the Atlanta Falcons at the end of the 2014 NFL season, he resolved that any remaining games he played would be played for a playoff contender. He also decided that he was willing to wait for that opportunity to arrive. If it didn’t, he would be willing to live with that. Running back had become a major position of need for New England over the final weeks of the 2015 season. After strong starts, running backs Dion Lewis and LeGarrette Blount both landed on injured reserve. Blount’s injury, suffered in a Week 14 win over Houston, left the Patriots with just Brandon Bolden, James White and practice squad call-up Joey Iosefa on their running back depth chart. So they turned to Steven, in part because SJ39 played under Patriots offensive coordinator Josh McDaniels with the St. Louis Rams in 2011. New England head coach Bill Belichick believed that experience would help Steven adjust to the Patriots game plans. No. 39 scores his first and only postseason TD. By the time Steven joined New England, the Patriots had already clinched a spot in the playoffs. He spent the final two games of the season getting himself into game shape, playing against the New York Jets and Miami Dolphins. After his first game back against New York, No. 39 admitted that the excitement of playing again was palpable. While New England lost the following week to Miami, 20-10, Steven scored what would ultimately be his only touchdown in a Patriots uniform. A few short weeks later, Steven found himself playing in only the second playoff game of his career: an AFC Divisional matchup against the Kansas City Chiefs. No. 39 played only sparingly in a game that saw New England’s offense go almost exclusively to the pass, but after a 27-20 playoff victory, he was one game from the Super Bowl. He told the Atlanta Journal-Constitution that the opportunity was one he felt blessed to have before him. The opportunity, however, would come up just short. 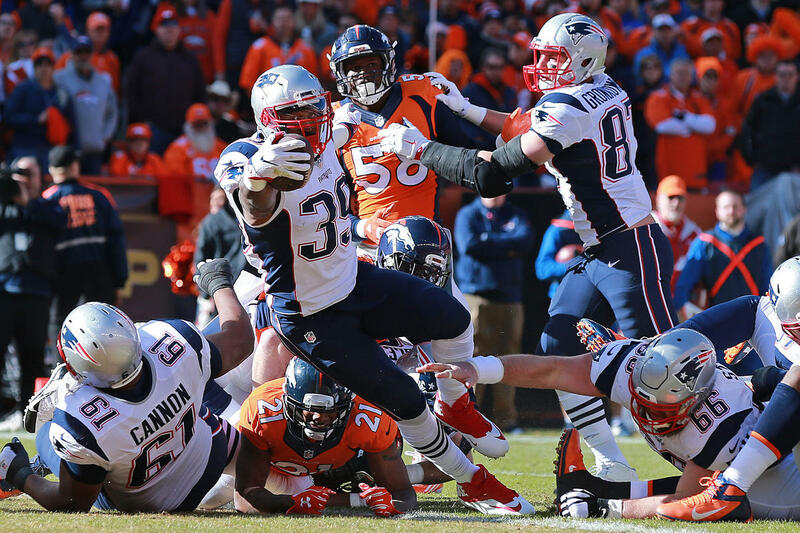 In the AFC Championship against the Denver Broncos, Steven scored the only post-season touchdown of his career, a one-yard plunge that brought New England to within 7-6. But despite a tremendous last-ditch effort by the Patriots in the waning minutes of the game, New England fell on the road, 20-18. Denver would go on to win the Super Bowl in dominant fashion. The game would be Steven’s last, but fittingly, it brought him as close as he ever was to his dream of winning a Super Bowl title.